First off, I want to say, errors and losing are part of what makes sports great. Sometimes there is a clear cut winner and sometimes the winner capitalizes on an opponent’s mistake. We know these situations as none other than bloopers. What is it about huge mistakes that appeal to the masses that they watch and re-watch then give their grief or bask in that mistake to the point of mocking? I know I loved enjoying Chris Berman’s highlight reel whenever there was a 300-pound lineman rumbling, fumbling, stumbling… It just makes great television. Before we take a look at this weekend’s missed opportunities, let’s reminisce at the most memorable moments in sports bloopers history. (My personal favorite) Not once but twice, did the famed defensive tackle from the Dallas Cowboys commit two unspeakable mental lapses. To be fair, the premature celebration prior to crossing the goal line in Super Bowl XXVII was not a game-deciding error but its fun to look back on. However, the botched field goal block versus the Dolphins in a 1993 regular season Thanksgiving snow game was. Unspeakably, Leon tried to recover that ball spinning around on that frozen field gave another opportunity for a field goal that did prove to be a game-deciding mistake. This brings some hometown joy as the Dolphins capitalized to win a game they needed but tragically ended up missing the playoffs that year. It’s definitely worth searching for the videos, just getting the results from typing his name into Google shows you how polarizing these mistakes were to his career. Since it’s that time of year, it’s only fitting to look back at one of the most infamous errors to ever be witnessed in the NCAA tournament. Given the scenario, 1993 Final Four matchup against North Carolina, the Michigan Wolverine “Fab Five” star nabbed a rebound with 18 seconds left in the game, and down by two. The rest will live on in sports blooper infamy, Webber went on a cringe-worthy set of errors that eventually cost the Wolverines a chance to win the game. First, there was the traveling no call where he took like 5 steps before bouncing the ball after the rebound. Followed by calling a timeout when his team had none left, earning a technical foul to be called against him. It was one of those moments that eventually went on to have its own documentary. Tragically, that “Fab Five” squad went on without ever winning a championship but will be remembered for starting the trend of long shorts we see in basketball today and thankfully ending the era of tight short shorts forever. Although the previously mentioned mistakes will live in bloopers infamy, the following probably will not go down as such highly acclaimed television. These moments will never be forgotten by the individuals who made these mistakes that cost them victory and are worth the hype to retweet and go viral. Someone you would never have heard from if not for this past weekend’s grave error. 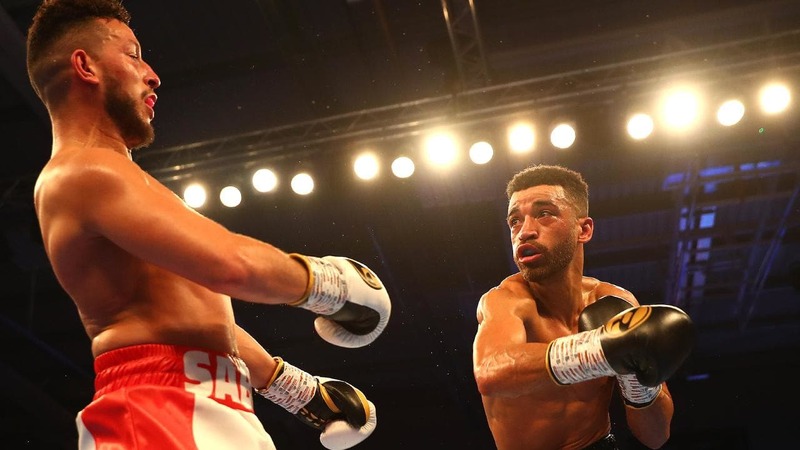 Arguably on his way to a win and the WBO European super lightweight title, he did what we all know as showboating. I want to say this, there are such things as good winners and losers. Sportsmanship shows us that you have a respect for the game and for your opponent. Hopefully, the French boxer learned this, unfortunately, the hard way. If you haven’t seen it yet, go ahead and search for this video, it should be all over social media by now. With 55 seconds left in the 10th and final round, Sediri nearly knocks down Sam Maxwell with a left hook. That’s when he started making a mockery of the sport, doing a little dance mimicking the motion Maxwell made when he took the shot that nearly took him down. Unfortunately, it did not end there, Sediri inexplicably lets his guard down and tries to duck and weave past Maxwell’s last-minute jabs, with both hands hanging below his waist. Can I say I am glad that he got what he deserved? With 12 seconds left, Maxwell landed the knockout punch that sent Sediri crashing to the mat. I hope the Frenchmen took a hard look into the mirror that night and decided who he wants to be. If only this video reaches out to all who think that showboating and disrespecting their opponents is somehow a good idea. He will probably get a second chance though, this blooper could end up being a money maker for the rematch, as its gone viral. Conor McGregor recently has made a living on showboating but has recently been made humble. Specifically Aubrey Dawkins. 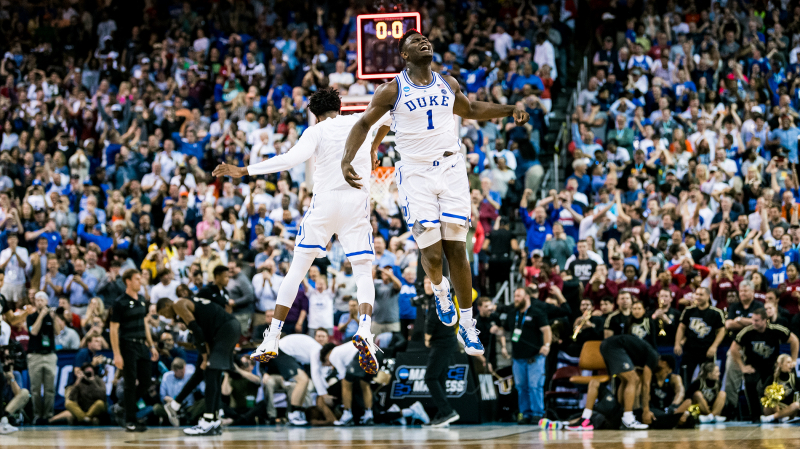 With a chance to knock out the number one seed in the tournament, Duke was on its heels as they let Dawkins get a clear layup off the rebound with 3 seconds left in the game. If it was me, I wouldn’t have slept that night knowing I had a chance for the game winner. I know I am being rough on the kid, but it was a mistake that Duke capitalized on and ended up with the win. To me, the Blue Devils lapsed in their box out and should have lost that game. However, it wasn’t meant to be for UCF and they get knocked out, but not before putting on a show, and arguably one of the best all-around games in the tournament. From start to finish, the game was an edge of your seat, action-packed, eyes glued to screen type of fight. There is a whole lot of narrative circling around the officiating late in the game that to me has no merit. I would prefer to see the refereeing step back and letting the play decide the game instead of watching free throws. It would have been a disgrace to see a ticky tack foul called on the putback from Duke on the Zion Williamson free throw miss. Zion, who was received by Tacko Fall’s outstretched arms at the rim, earning his way to free throw line. UCF also caught a break, where video review was determined there wasn’t sufficient video evidence that the ball did not hit the rim in the previous play where they went up by 4. Did you see the ball stop or change rotation as it approached the background? I didn’t. Overall it was a great game, great ending, and a costly mistake at the end. We should look back at missed opportunities and mistakes as it’s the only way we can learn and grow. We should also look back at these moments for great entertainment value where we can sit back laugh at Leon Lett and Sabri Sediri or cringe at chances missed by Chris Webber and UCF.